This class has one objective: a consistent 60-minute full-body workout. 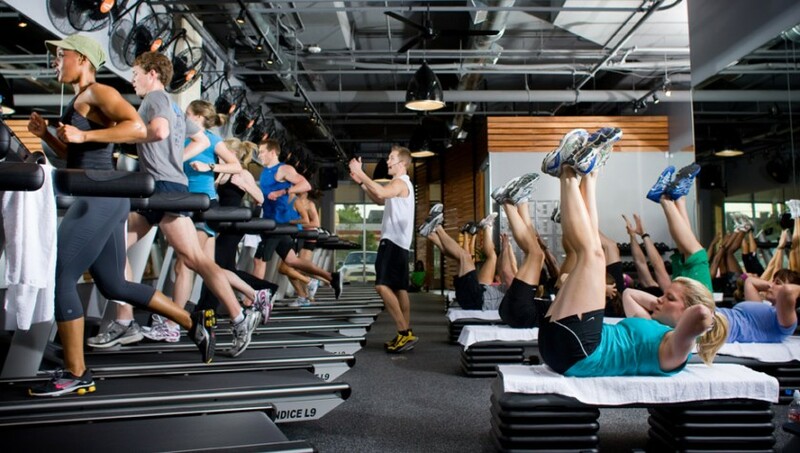 The Class: TREAD Fitness, located off Lemmon Avenue and Dallas North Tollway, offers a full-body workout with one objective: to keep your heart rate up for 60 minutes while working your core, arms, and legs ­– all in between sprint intervals. The Appeal: CrossTREAD turns a mundane hour on the treadmill into a full-body blast, utilizing the machine’s speed and incline functions to guarantee a more concentrated workout. The Instructor: Dre knows his clients by name as they walk through the door – and if there are any first-timers, like myself, he immediately makes them feel welcome, comfortable, and excited to push themselves to a challenging level. Although he participates with his clients in the morning workouts, the afternoon classes have Dre pacing back and forth along the treadmills, checking each runner’s form, speed, and incline. The Space: A small, rectangular room encompasses 14 treadmills, side by side along a mirrored wall with large, adorning fans. Behind the machines, a small space, organized into stations, is set up for strength training. Who’s There: Hot twentysomethings and a few fit thirtysomethings coming straight from work in their suits. How It Went: Dre does not waste one minute getting started. Once the clock strikes 6 p.m., his headset is on, and we are sprinting. I quickly realize that the phrase “sprints coming up in 3, 2, 1,” will haunt me for the next 57 minutes. In between three-to-four-minute full-on sprints, Dre has us slowly jog, walk, or even come to a full stop for 45 seconds, successfully running us through 15 minutes of intervals before we even know the time has passed. Next up: a wobbly step down from the treadmill and 15 minutes of abs, arms, and legs. Dre demonstrates each exercise then watches us intently for correct form as he counts down the seconds. Music blares, setting a rhythm for each rep. In summary, the class was 15 minutes on the treadmill, followed by 15 minutes of strength training, and repeat. The Aftermath: I left with my face the same color as my lipstick. (Clearly, girls who wear lipstick to work out are in over their heads with this class.) But my legs felt strong and sore the next few days. Loved: I absolutely loved the strength-training exercises, and not just because it was a break from running. Dre made sure we worked every area of our body, from arms and legs to abs and glutes. Hated: I hated not getting a machine the first time I went. If you’re interested in a Tread class, be sure to get there earlier than early ­– especially during non-work hours. Difficulty Level Coming from someone who only runs if my life is in danger (so, never? ), this class is HARD. Coming from the fit, CrossTREAD regular on the machine next to me, this is HARD. Although I wasn’t the only first-timer in my class, I would definitely recommend this class to dedicated runners, and recommend it with caution to the yoga-pilates types.